Dessert fans, we’ve got news that’s going to bake your day! 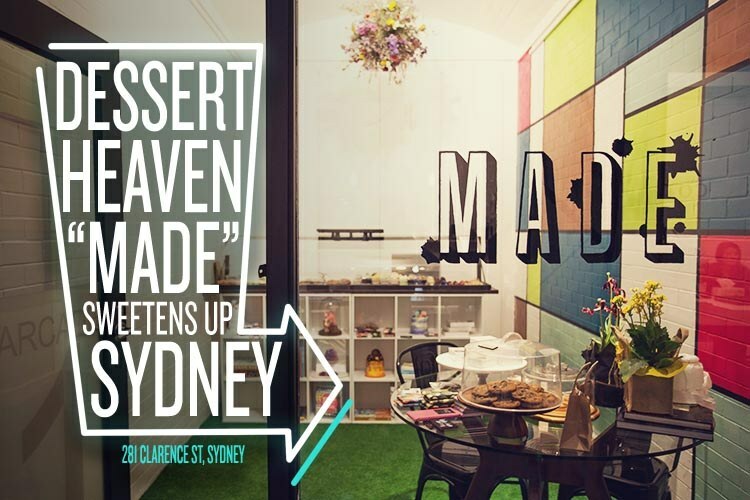 Sydney’s foodie scene is getting just a little bit sweeter, with new dessert boutique MADE opening on Clarence Street. 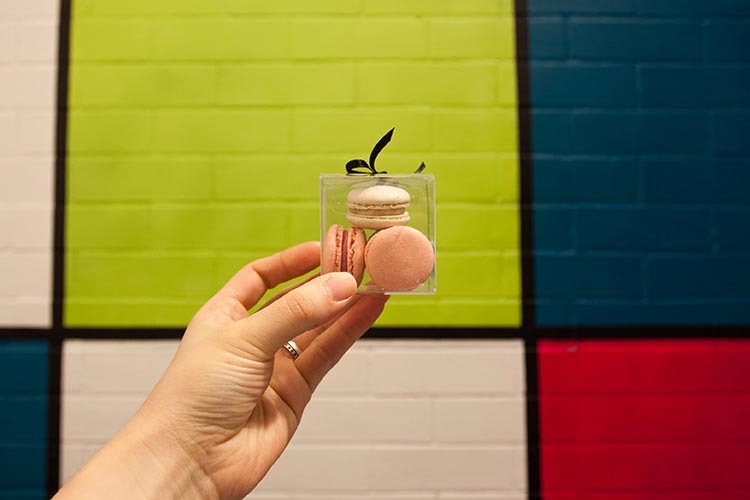 The shop is the result of a beautiful collaboration between MakMak Macarons owners Carlos Heng and Dan Pigott and Jen Lo of Bakedown Cakery. With such big names bringing their flour power to the project, you can trust that MADE will make all your dessert dreams come true. No matter what your guilty pleasure, you’re sure to find something to love. 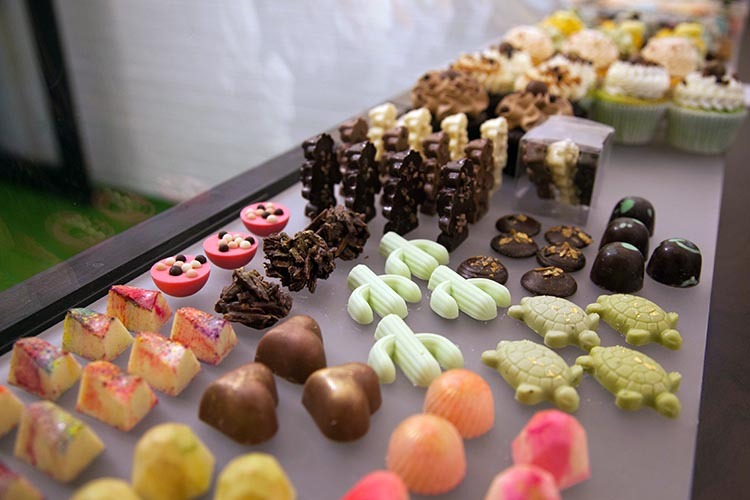 From 36-hour chocolate chip cookies to cupcakes and artisan chocolate blocks, there is a treat to satisfy every sweet tooth. But for something extra special, it’s hard to go past the macaron-cake hybrid. 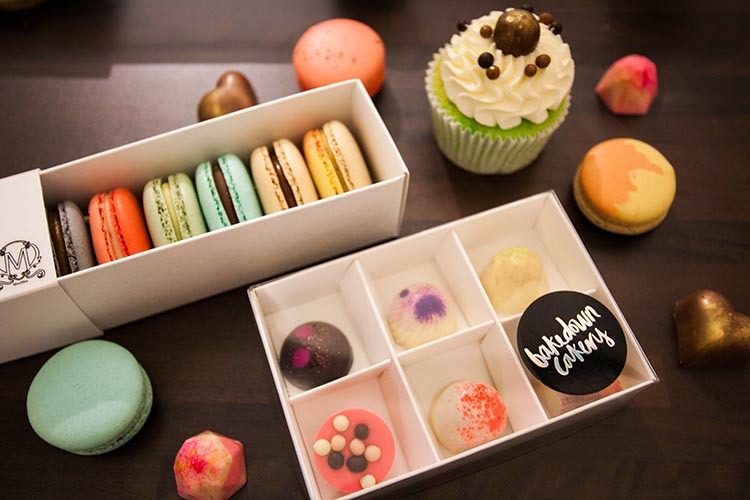 These cakes are made with macaron ingredients, and include layers of macaron sheets sealed together with glaze and chocolate ganache, caramel or buttercream. Personally we think it all sounds very ent-icing, and we can’t wait to hand over our dough! We sat down with Jen Lo to learn more. Hey Jen, thanks for taking the time to talk to us. Can you tell us a bit about yourself? We hear you actually started off as a designer – what inspired you to make the switch to baked goods? Pleasure is all mine! You’ve heard correctly! I studied Visual Communications at UTS for four years, and after that spent 2-3 years working in print, motion graphics and design for a children’s animated TV series. I had so much fun and loved what I did—but I always felt a little bit unsettled … almost like a part of me was not really ‘IN’ it, and I always found myself questioning whether my dream of being an animator was really something I truly, truly wanted or whether it was what I kept telling myself because I’d been thinking about it for so long. At the end of high school, I had two choices which were to either study design or study patisserie—needless to say I chose design and 7 years later I’ve come full circle back to cake and all things sweet. As the owner of Bakedown Cakery, you’re pretty much known as a dessert queen. What made you decide to partner with the boys from MakMak to create MADE? I definitely wouldn’t call myself a dessert queen! 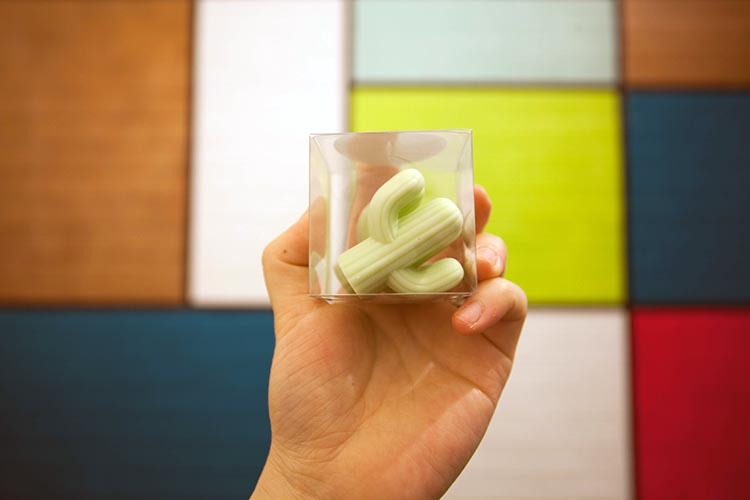 Maybe a sugar pusher or an edible colour enthusiast! The collaboration with MakMak actually came about as a bit of a surprise. Carlos called me literally 2 weeks before we signed the lease, telling me of this space he’d found in an old heritage building on Clarence Street. I felt like with the current growth rate of Bakedown it would be a smart move to move into a physical space where people could buy cakes on demand, and with both of our products being of a similar nature (but not of a competing one), it just made a lot of sense. We’re loving the look of MADE (especially that cool feature wall). Who did you get to design the space? We designed the space ourselves—a lot of late nights painting the feature wall and laying the astroturf, as well as hammering together bits of furniture at 2am. We knew that we wanted it to be a really fun space with pops of colour but not being too overwhelming a space to walk into. We think that it’s a great mash between our two brands’ aesthetics. 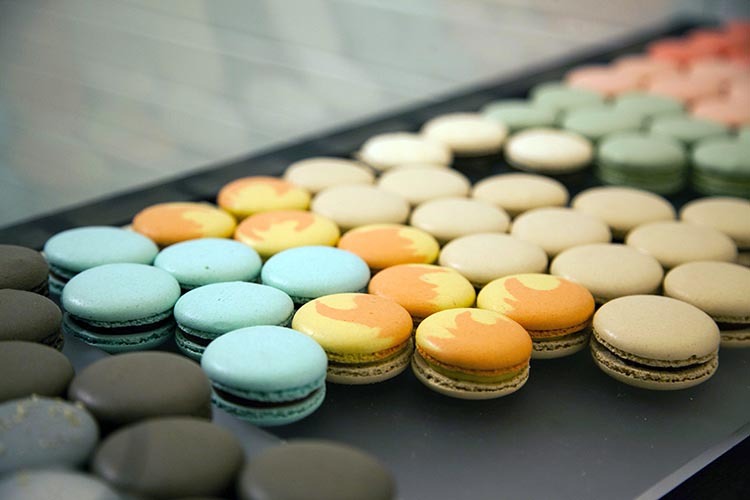 There are so many cool and funky items on the menu like 36-hour chocolate chip cookies, salted caramel cupcakes, macaron cakes… the list goes on! What’s your favourite? It’s so hard to answer that question! Some of the biggest sellers so far have been the cupcakes that change flavour weekly and the 36-hour cookie! I don’t think you could make a wrong choice with any of our products, though the decisions are definitely hard ones to make (as evidenced by my own indecision)! Where do you get your crazy dessert and wonderful dessert ideas from? Inspiration comes from everywhere, whether it be something that I’ve seen on my travels or on Instagram. Sometimes it can be a simple colour palette that inspires a flavour combination, or something funky that I’ve found in an Asian supermarket. Ultimately though at the end of the day it’s just chocolate or just cake and macarons, so it’s important not to take ourselves too seriously! Although we wish it was possible, we know it’s not possible to survive on desserts alone. Where do you like to grab a meal when you eat out? There are so many places that I love to eat! One place in particular for their absolutely amazing pork belly is En Toriciya in Crows Nest. They do some pretty damn amazing Japanese food with that authentic smoky yakitori flavour! MADE can be found at 281 Clarence St, Sydney and they’re open from 10:00am – 6:00pm. Make sure you head down to grab some sweet treats and visit their website to stay up to date!